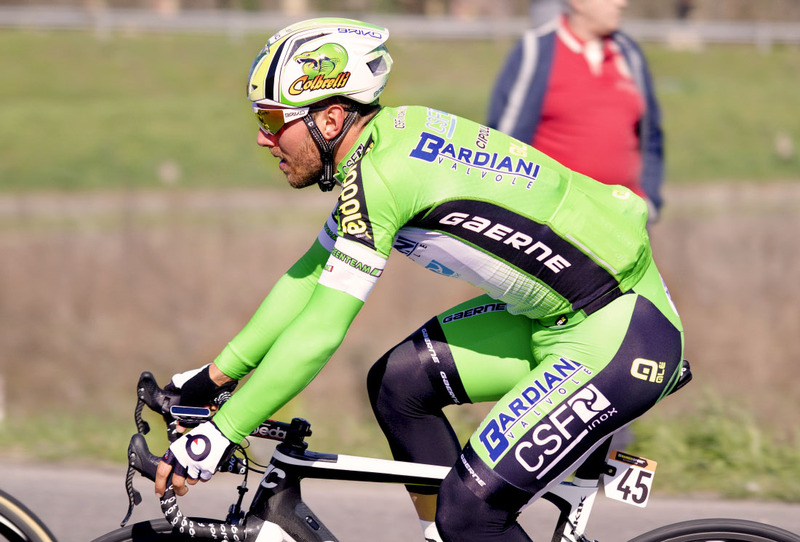 He is a talented young Italian rider, 25 years old. Not just a sprinter but a very fast rider able to resist to long distances and to climbs. In my opinion he should pass soon to a WT team in order to have access to the most important classics of the calendar. The risk may be to have him too long into a level where he can't always compete with the best (same happened to Sasha Modolo in the same team). He was 9th at last Milano Sanremo and he is currently racing at 3 Days La Panne working on experience for cobbled Classics.